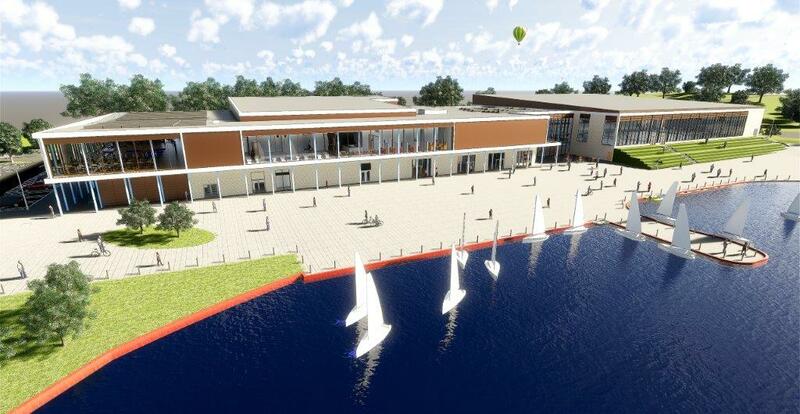 Craigavon’s new state-of-the-art £30 million leisure centre plans have been given a seal of approval by the local planning authority, paving the way for a construction start date early next year and full access for all in 2020. The biggest capital project ever undertaken by the Council, the new leisure centre will provide an enhanced facility to improve the quality of life and wellbeing of the whole Borough. The centre will be unique in in the region, offering indoor and outdoor leisure experiences from a single site. Once complete, Craigavon will host one of the largest gyms on the island of Ireland, with visitors enjoying panoramic views. Customers will have state-of-the-art equipment, spin and dance studios, an extensive health and beauty suite, activity rooms, squash courts and a large sports hall suitable for a variety of sporting activities. “With planning consent firmly secured, work can now start to create a brand new, modern leisure facility which meets the needs of everyone, creating new and exciting opportunities for individuals, families, schools and sporting enthusiasts who can realise their fitness, lifestyle or professional goals in a world class facility that fully supports their needs. In addition to the staff that will run the facility, the project will create more than 500 jobs during the construction phase. The construction phase alone is also expected to deliver an estimated £6.5 million in direct wages to the economy, apprenticeships, work placements and job opportunities for the local community. Disabled Sport NI ‘excellence’ status is expected to be granted once the building is constructed given the enhanced accessibility provision incorporated into the design. It will also deploy the latest technology to make the building and the services it offers as energy efficient and as sustainable as possible.